We are seeing more and more legal claims alleging Risperdal and Invega are causing young men to grow breasts. The condition is called gynecomastia. It is easy to joke about this condition if you are, you know, an idiot. In these cases, it is has a real mental and physical impact on young men who are already having some challenges coping as it is. We have known for a long time that some legal and illegal recreational drugs can cause this condition: alcohol, marijuana, heroin, and Valium. But there are some antibiotics, blood pressure medication, anti-ulcer medication and other drugs that cause this condition. What happens is that Risperdal, which is an antipsychotic medication, increases the level of prolactin in young men who use the drug. We have known for a long time that prolactin is a hormone that stimulates breast growth. In young males, increased prolactin has been linked to the development and enlargement of breast tissue. This medical condition is called gynecomastia. Plaintiffs don’t whine in legal papers filed with the court that all drugs should be made safely. Instead, the suits allege inadequate warnings were given to consumers and doctors about the risk of developing breasts following use of the drug. Why would Johnson & Johnson not let consumers know about the possible harms this drug could cause? Well, one possibility is that they were worried that profits would sink if they were honest about the medication’s side effect. Sound like a pretty sinister suggestion which should be taken with a grain of salt coming from someone who is writing a blog post that will conveniently at the end ask you to call him if you have a case. Okay. Fair enough. But just read this. You also might read about the $1.2 billion dollar hit J&J took after a jury found that the company minimized or concealed the dangers of this drug. 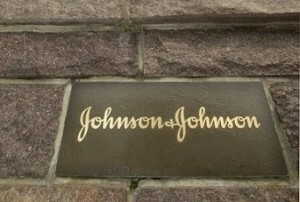 We know from the jury verdict that J&J knew Risperdal had the potential to cause diabetes, diabetes-related injuries, and cardiovascular and cerebrovascular complications, but allegedly failed to properly disclose these facts on their packaging and manipulated studies to guarantee the results would not show these complications. Keep in mind what Risperdal is used for: bi-polar disorders, autism, aggression and behavior problems. Aren’t these the same kids that are most susceptible to struggle with the emotional pain that is going to come with developing breasts? So we are basically throwing flames on a fire here. You are putting compromised kids in an even tougher spot because you want to sell as much of your drug as possible. It is just not how it should be. If you or a loved one has suffered any negative effects as a result of Risperdal or Invega, protect your rights. Call us at 800-553-8082 or talk to us online. There is no fee or cost for you in pursuing your claim unless you win a recovery.